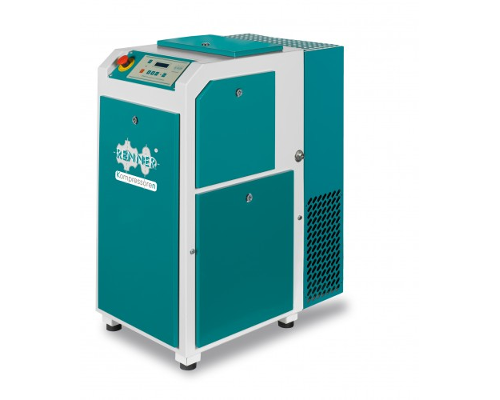 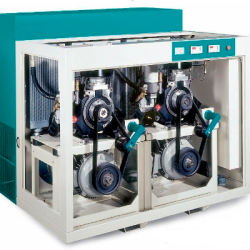 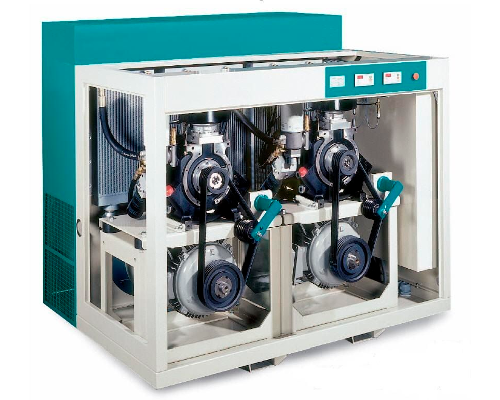 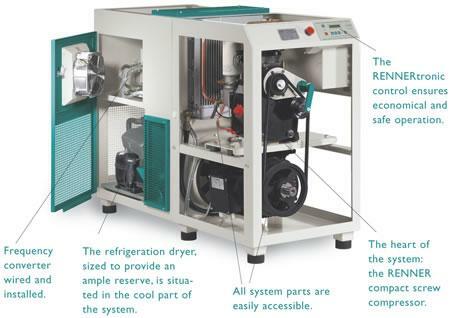 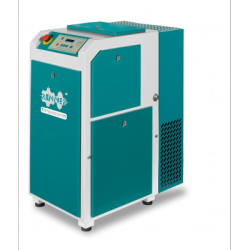 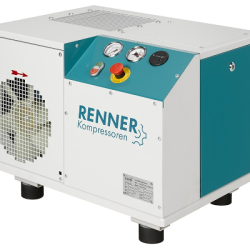 The screw-type compressors in the RSF / RSKF / RSDF /RSDKF and RS-TF series come with frequency control and are designed for heavy-duty industrial applications.They are also fitted with the RENNERtronic intelligent control and monitoring system. 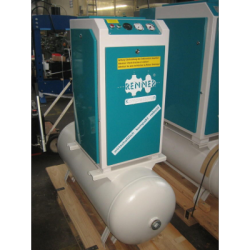 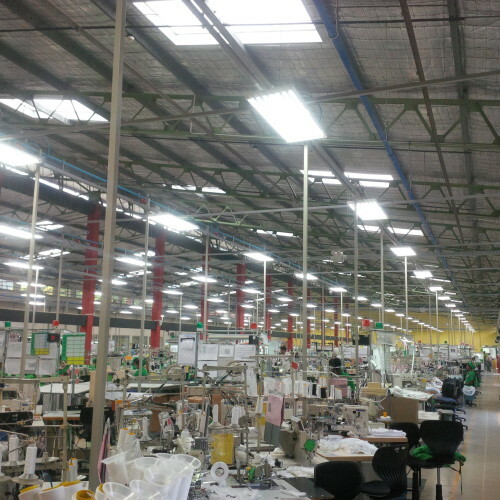 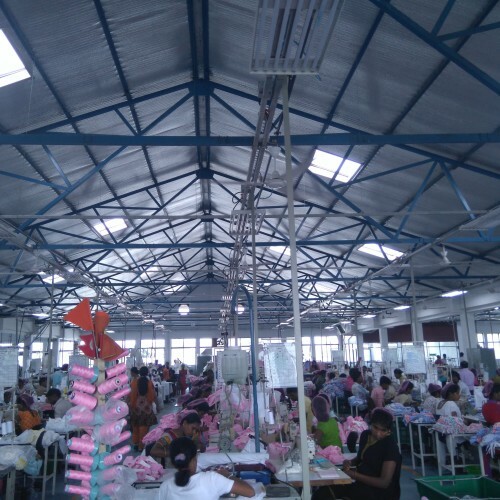 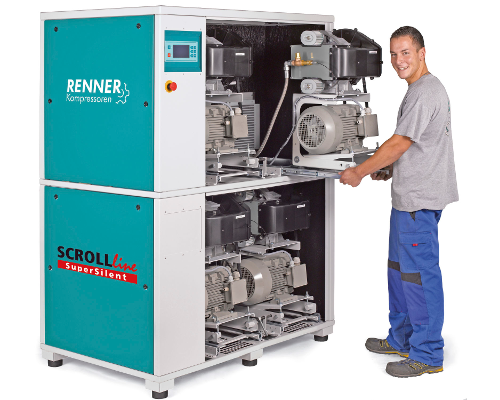 Major fluctuations in compressed air requirements cannot be avoided in many factories. 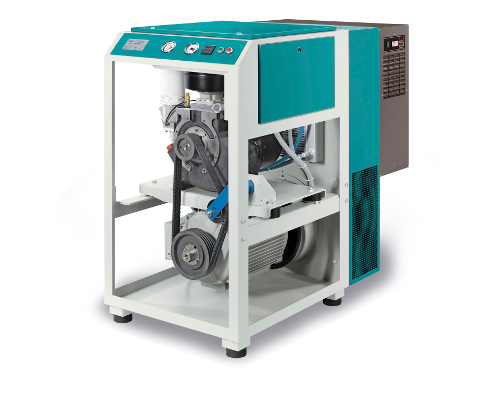 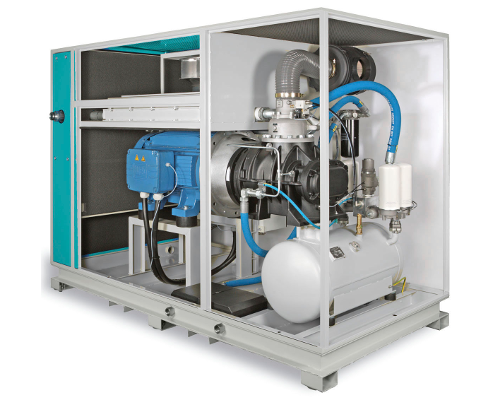 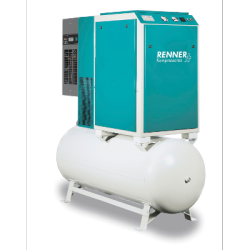 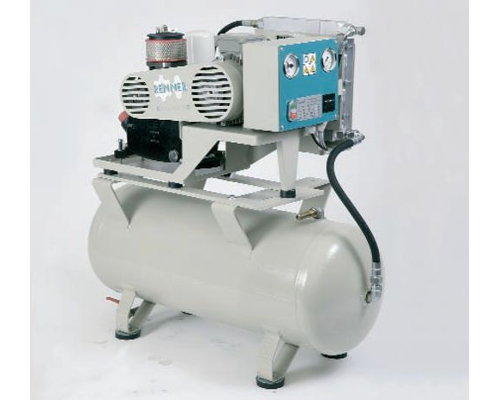 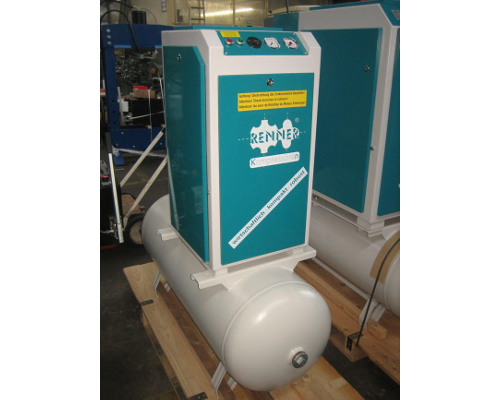 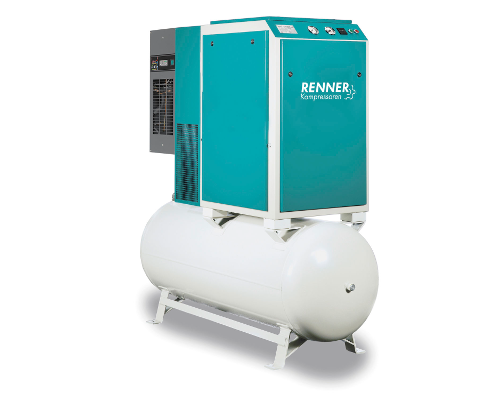 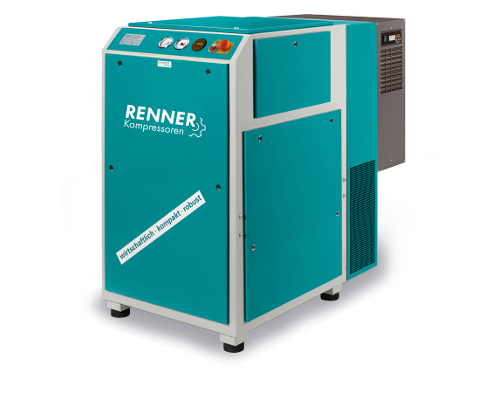 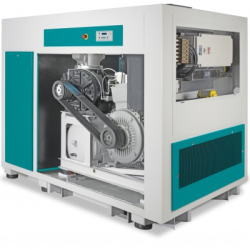 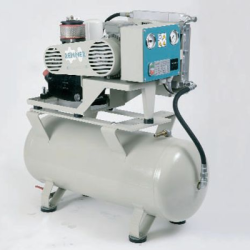 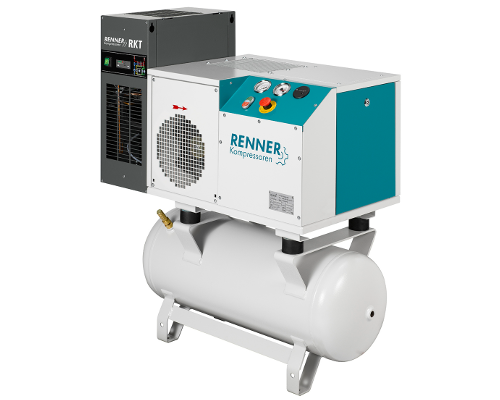 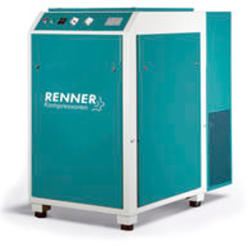 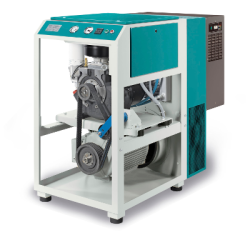 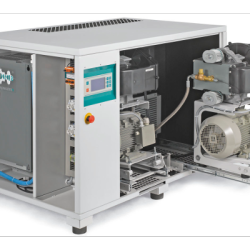 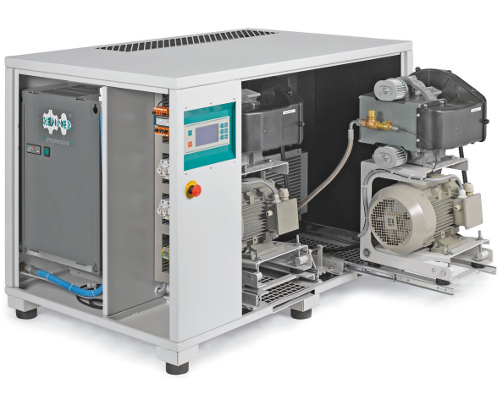 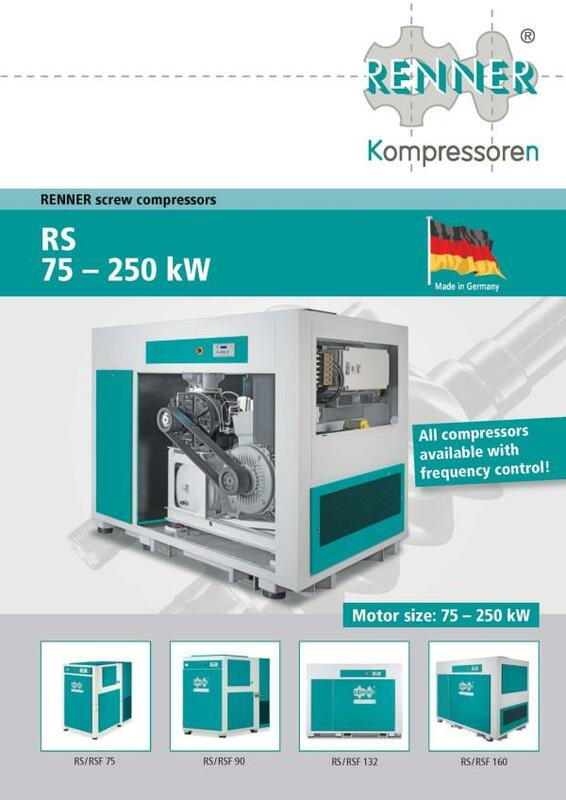 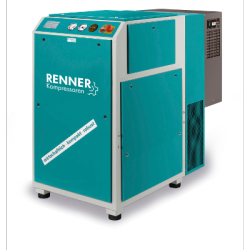 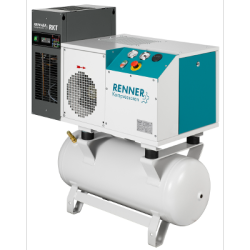 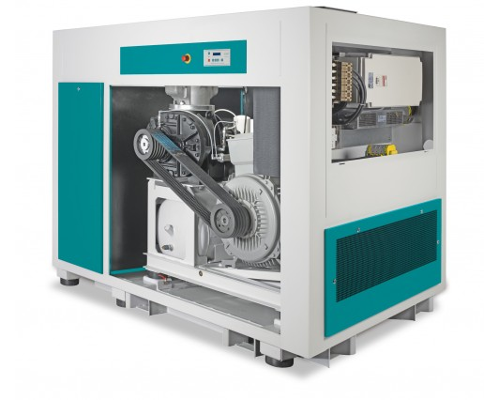 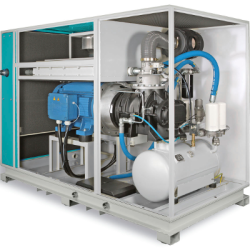 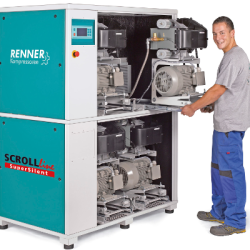 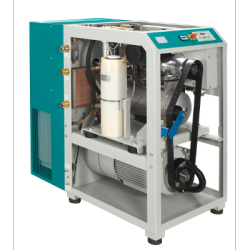 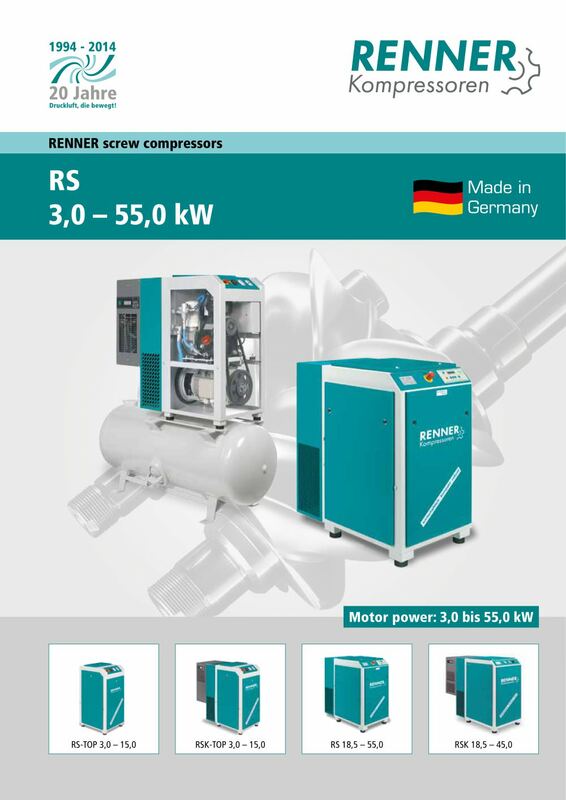 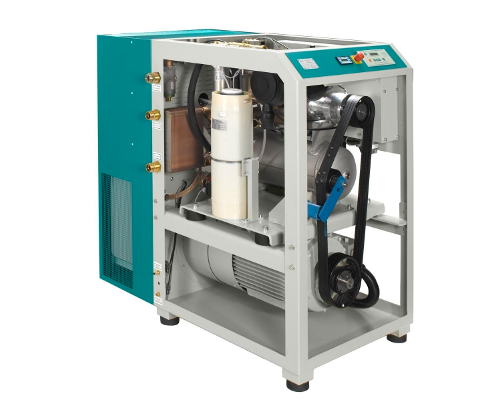 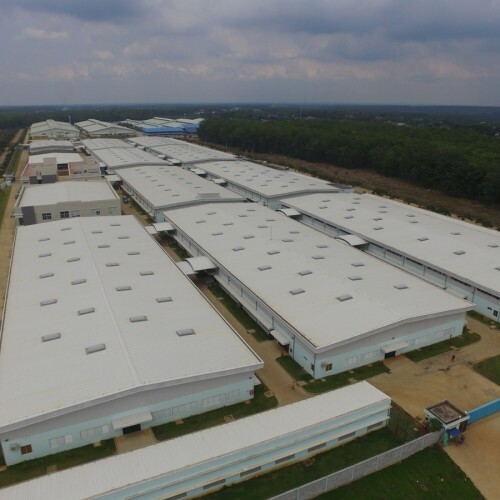 Frequencycontrolled RENNER screw compressors are based on the principle that compressed air can still be generated cost-effectively even if requirements vary. 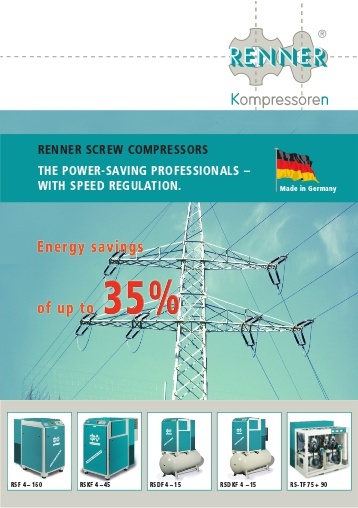 thus guaranteeing maximum possible levels of economy. 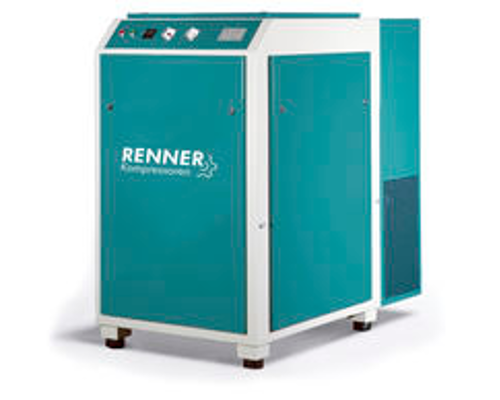 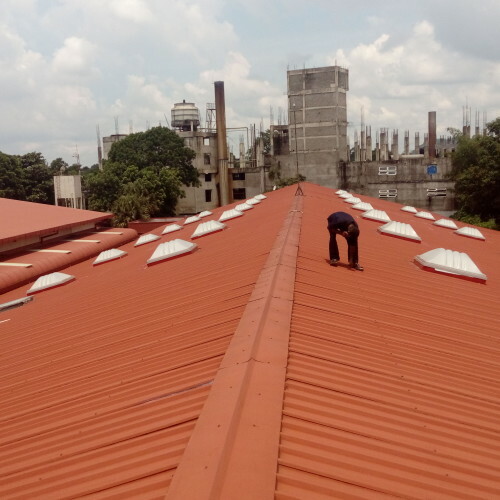 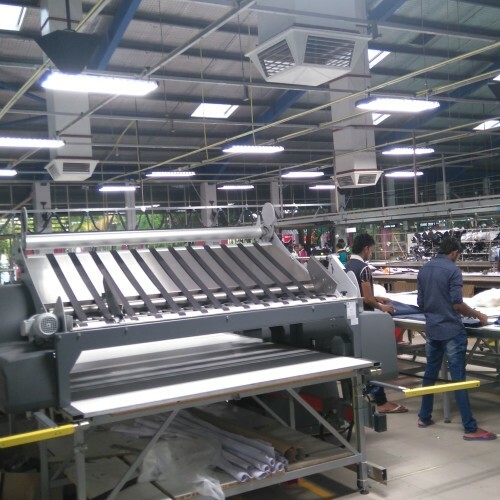 The frequency converter complete with control unit is integrated in the unit and permanently installed. 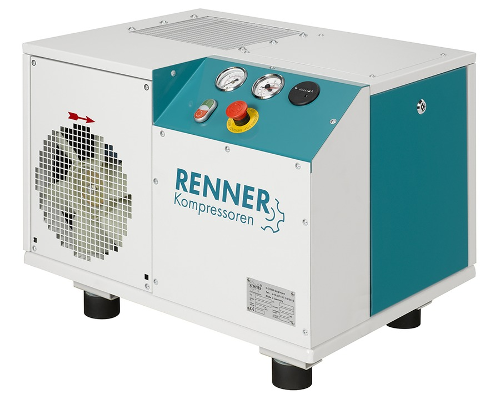 ● Fully compatible with higher-level compressed air management systems. 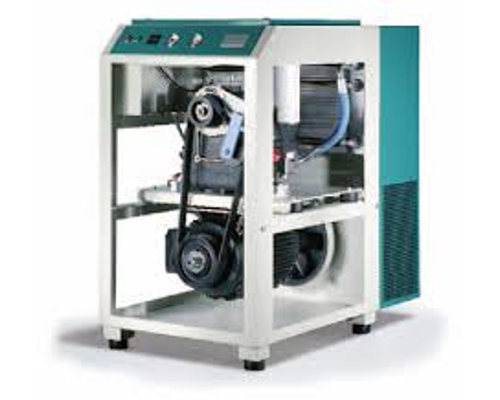 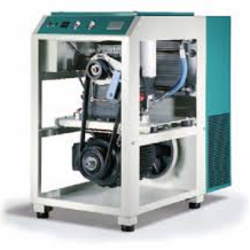 WITH THE FREQUENCY CONTROL THERE IS A CLEAR REDUCTION IN THE OVERALL COSTS FOR COMPRESSED AIR SUPPLY.